Banner stands with instant eye-appeal! From design to execution, Punctual Print banner stands are a step above the norm. 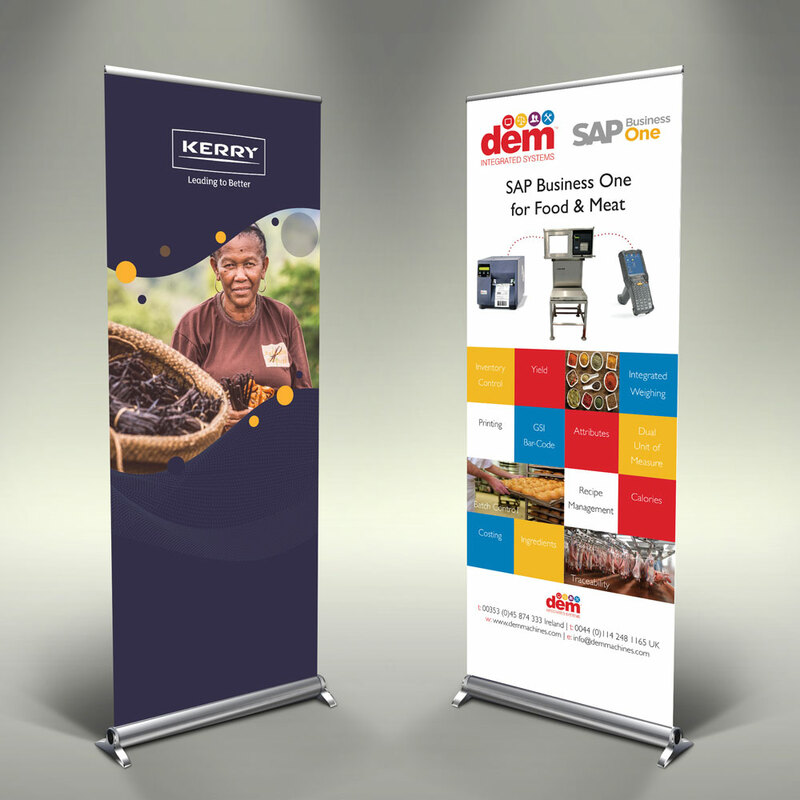 Available in a range of widths and sturdy, lightweight and durable, banner stands are one of the most cost-effective forms of portable marketing available. Our stands can be erected in moments, creating an instant impact and drawing traffic to your stand, event or place of business. Our team of expert graphic designers will create a timeless banner, to be used again and again, or, because they are such great value, why not switch the message on a regular basis? A good banner stand is your hardest-working piece of advertising hardware.